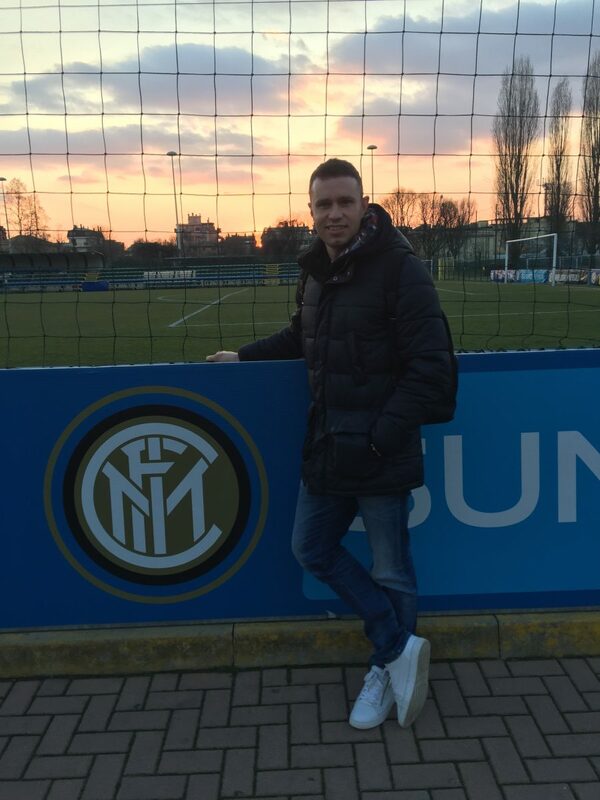 Client Manager Carl Pomfret recently travelled to Italy to introduce the new automatic language translation feature to Inter Milan. The Serie A giants have used Sports Office athlete management systems for the past year. Automatic language translation is now LIVE within all Sports Office performance management systems and is made possible by tokenisation. ‘English to Italian’ is the first pair of languages to translate. The update means clients are able to carry out all performance management activities in their native tongue. During the visit, Carl worked closely with Inter’s Senior IT Analyst, Roberta Macchi to deliver additional training and answer queries from the club. In addition, Carl Pomfret met with each department including Medical, Recruitment and Sports Science. He also provided assistance to support optimal use of the system to GPS staff, Analysts and Wellbeing staff. Inter Milan requested customised financial modules to fine tune this aspect of the system to their specific needs. This and automatic language translation are examples of the Sports Office’ capacity to deliver bespoke developments to performance management systems for any club or organisation. Inter Milan currently use The Sports Office at Academy level and Academy Director, Roberto Samaden, has stated his satisfaction with the progress made to date. If your organisation requires a centralised system to monitor performance with bespoke developments, contact our business development team.